Paris. Oh what a city. From the minute I arrived I was in love. 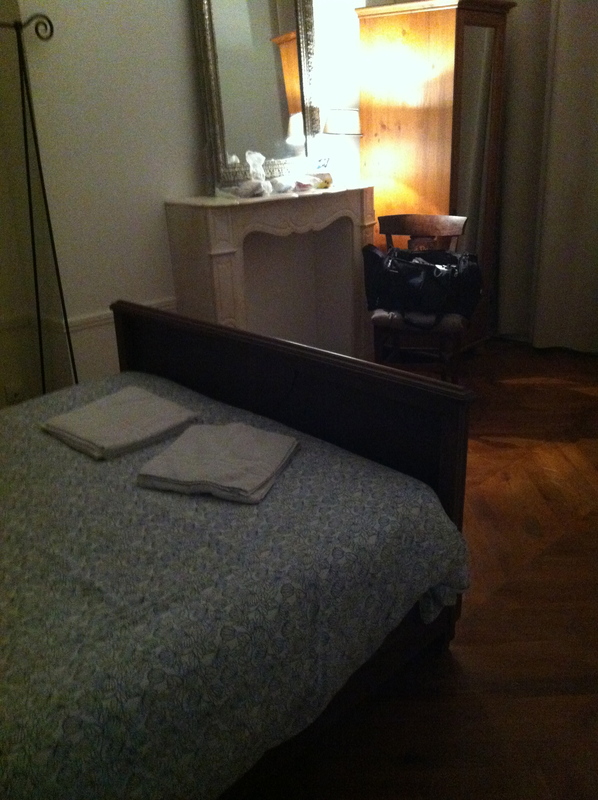 We stayed in an airbnb apartment in the 3rd arrondissement, recently renovated and up 4 floors which equated to 8 flights of stairs! I could do the first 6 quite well but the last two nearly broke me. Hence, I went out in the morning and came home in the afternoon and tried to avoid going out again. The outside of the medieval building was being renovated also and it was a building site with workmen and dusk and noise. My great fear was fire, how would we possibly get out, and nearly everyone smokes. But it was Paris and being where we were, everything was close to us. 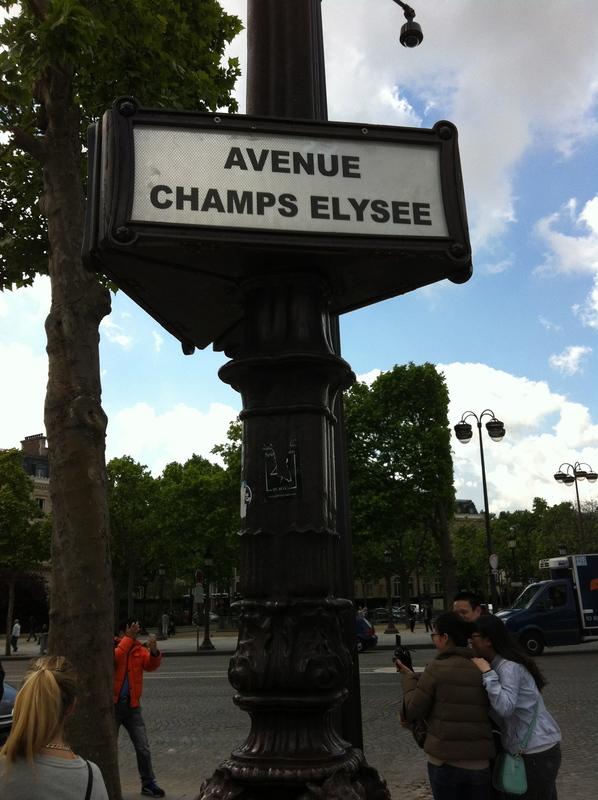 We could walk to the Louvre easily and Le Centre Pompidou was a block away. There were cafes and shops and the nearest railway station was Les Halles which housed an enormous shopping centre also undergoing a make over. They are putting a viewing platform on the top which will be wonderful when finished. We took a hop on hop off bus tour to get our bearings and see all the tourist attractions. That was really good, it had a recorded commentary which I find is better than the live one from the driver, except in San Diego where the driver was witty and knowledgable. The one thing that Luc really wanted to do was the Catacombs. We read some of the reviews and the funniest one I read was from an American who said ‘unfortunately, it was room after room of bones’!! We laughed and laughed and wondered what he expected from the catacombs. Anyway, we went and lined up for an hour and payed our euros and down you go. Just a tip if you go, have the right money or use a credit card, they don’t give change!! I think there are 180 or so steps down. It is dim and cool and cramped. The tunnels are quite claustrophobic and not very tall. Luc is over 6” and he had to duck in sections. You walk for a while with nothing to see and then you come upon the first room. It is astonishing to say the least. There are rows of femurs, then a row of skulls and then more femurs. Me being me wondered where the rest of the bones were so by standing on tip toes I could look past the neat rows and found that the rest are just flung behind the front. No barriers or enclosed cases, you could touch if you wanted. No security either, if you were so inclined to steal some. 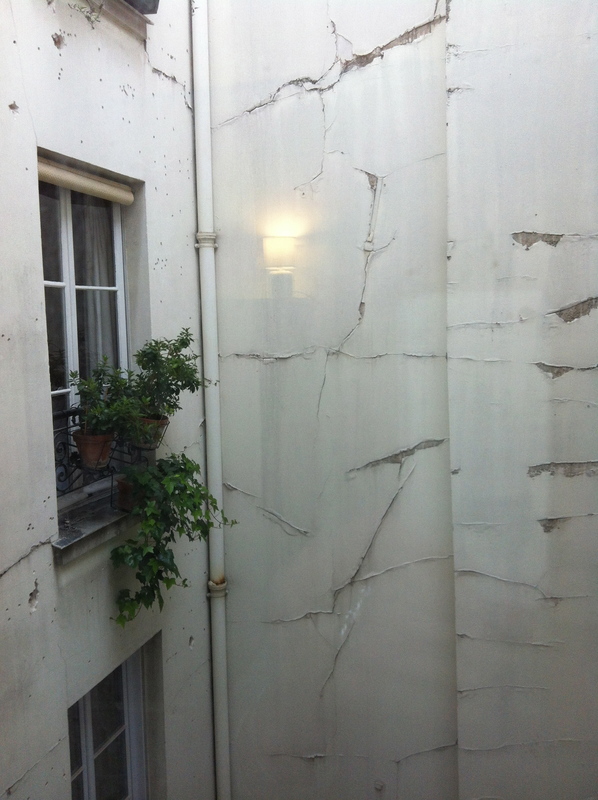 Each ‘room’ is from a cemetery in Paris that was dug up and reinterred in the quarries that the stone to build most of Paris was excavated from, to allow an expansion as the city grew. It was fascinating but creepy at the same time and claustrophobic. You come out 2.5km from where you went in and climb another 90 steps back up. Oh, did we need a drink after that so sat at an outdoor cafe and paid an outrageous amount of money for 2 beers. 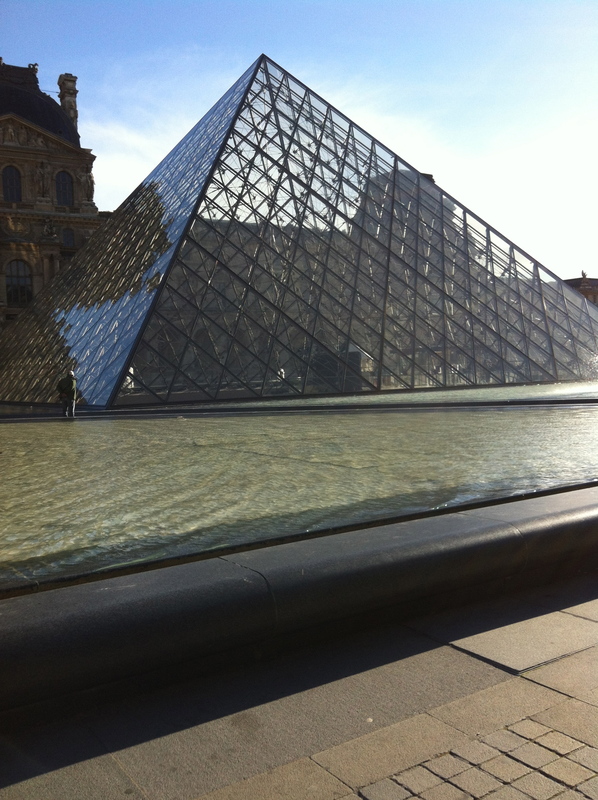 We timed our visit to the Louvre for morning and must have beaten everyone out of bed because we DID NOT queue at all. There were plenty of people in the Louvre waiting for tickets but we used the automatic self service with no waiting. 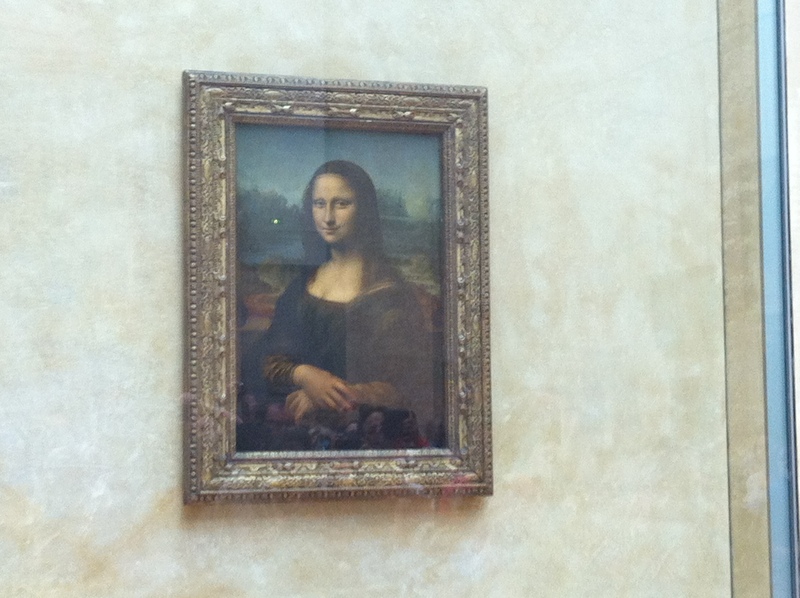 We also were right in front of the Mona Lisa with no one in front of us. It was amazing. 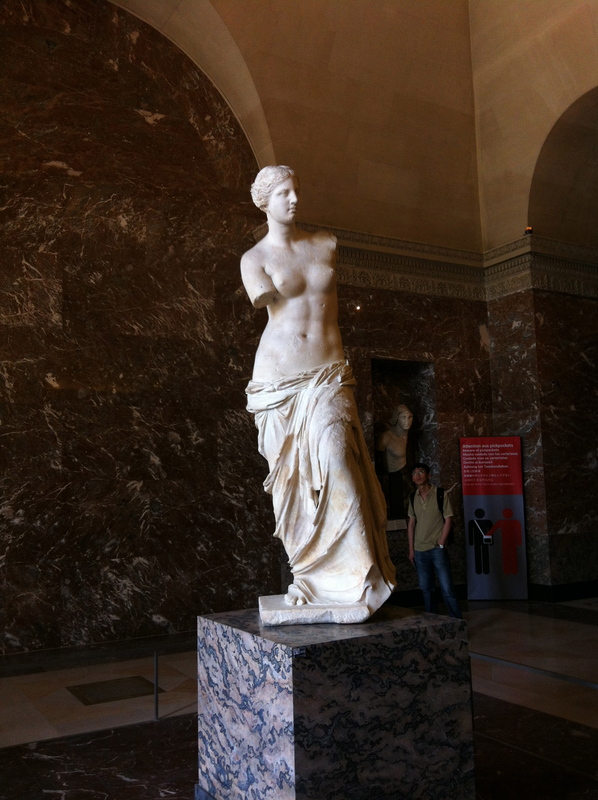 We didn’t have to time to spend hours there, just the ML and Venus de Milo were our priorities. 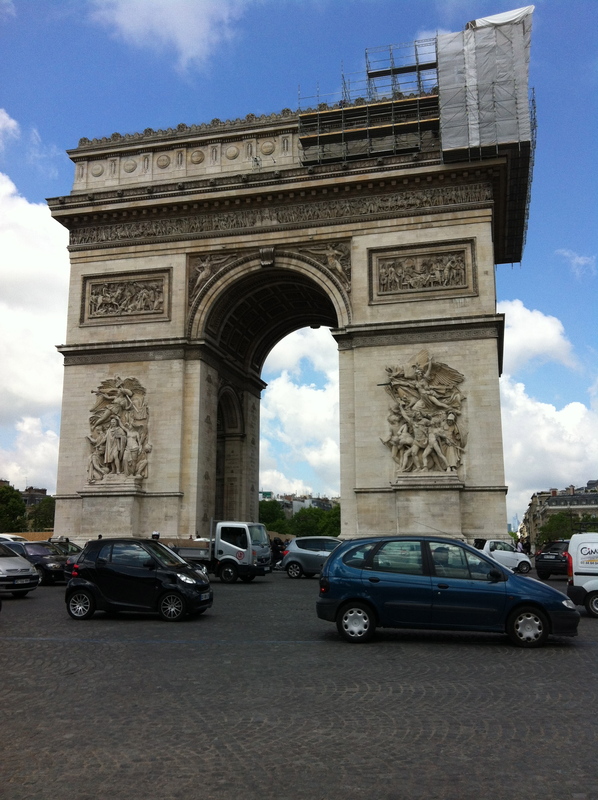 We then walked through the Toulieres to the Champs Elysee and Arc de Triompe. The traffic was amazing, no lanes and they all zip around the Arc seamlessly. The shopping was great in Paris. 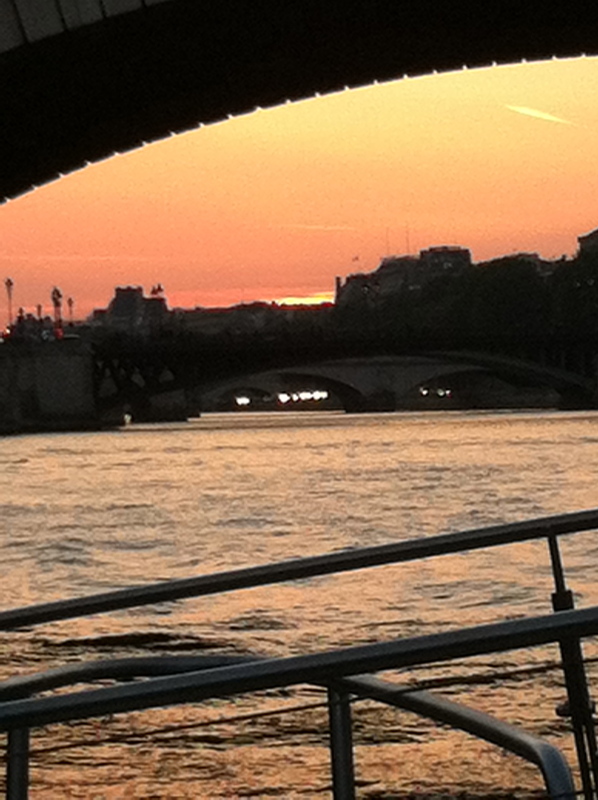 We also did a Seine river cruise at dusk which was magical. 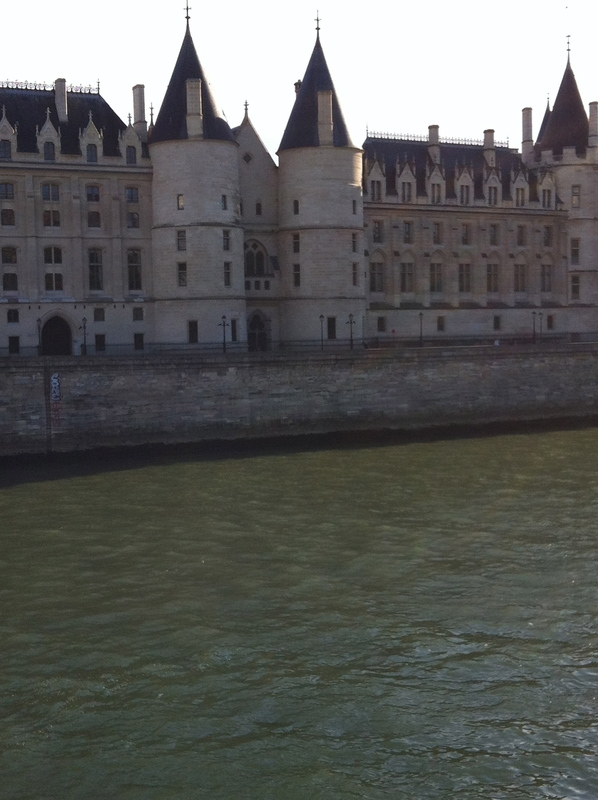 There are so many bridges in Paris and to see the city from the river was very special. 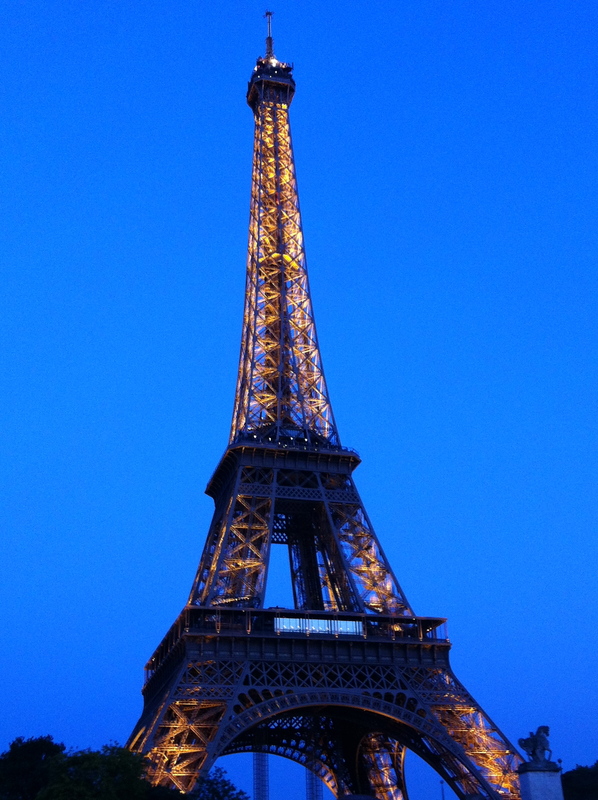 The Eiffel tower is impressive in the day and spectacular at night. To think they wanted it demolished although some of the French population say that the best view in Paris is from the Eiffel tower because you can’t see it! I loved it. 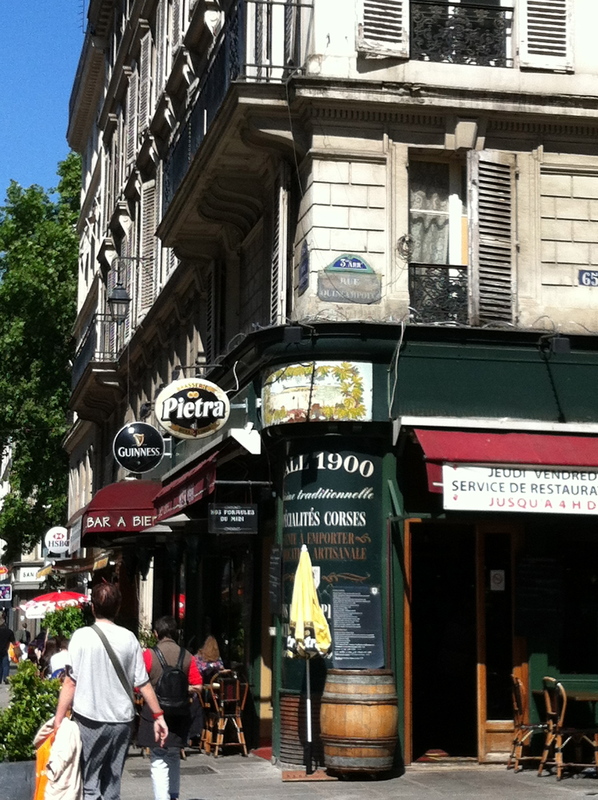 The food wasn’t that great in Paris, our best meal was in an Italian restaurant a few blocks from the Eiffel tower. The boulangeries are fantastic for sandwiches and bread sticks. 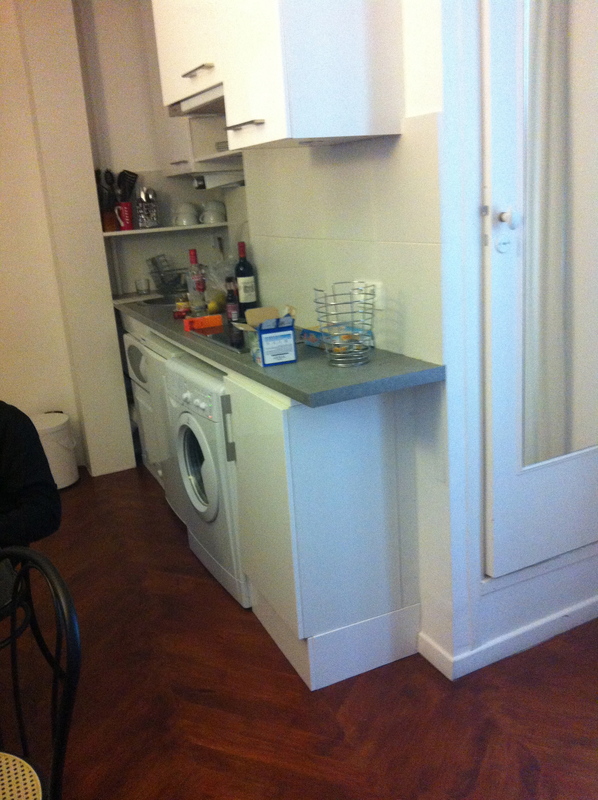 We shopped for essentials in a supermarket and had wine and antipasto most evenings. Luc ventured out a few nights and met up with a friend who lives in Paris, but I mostly spent the nights planning the next day. Our last night in Paris was a Friday night and the city started to fill up with lots of people who I guess came for a weekend. That was the night of our river cruise so we had dinner at a restaurant, rather than the apartment. 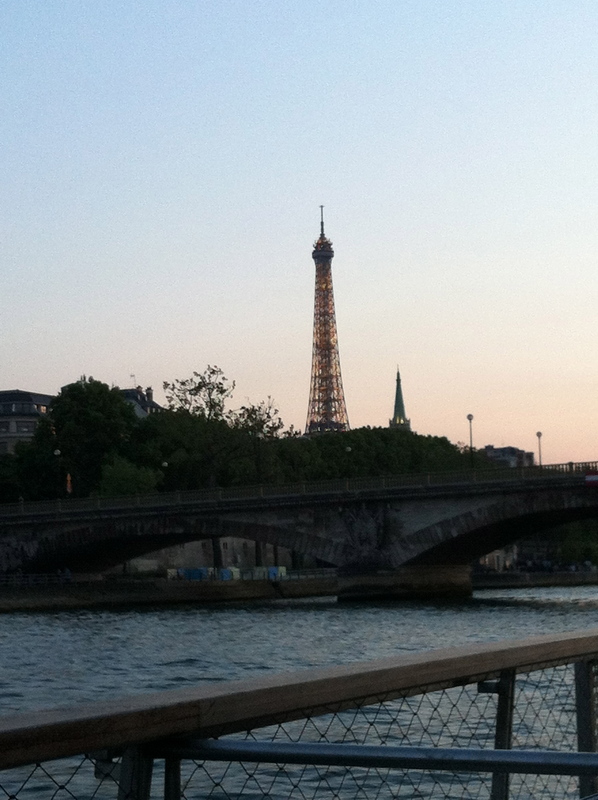 I can’t recommend Paris enough, I fell totally in love. The weather was perfect and the people were friendly. What? Then it was back to Berlin for my last part of the trip. 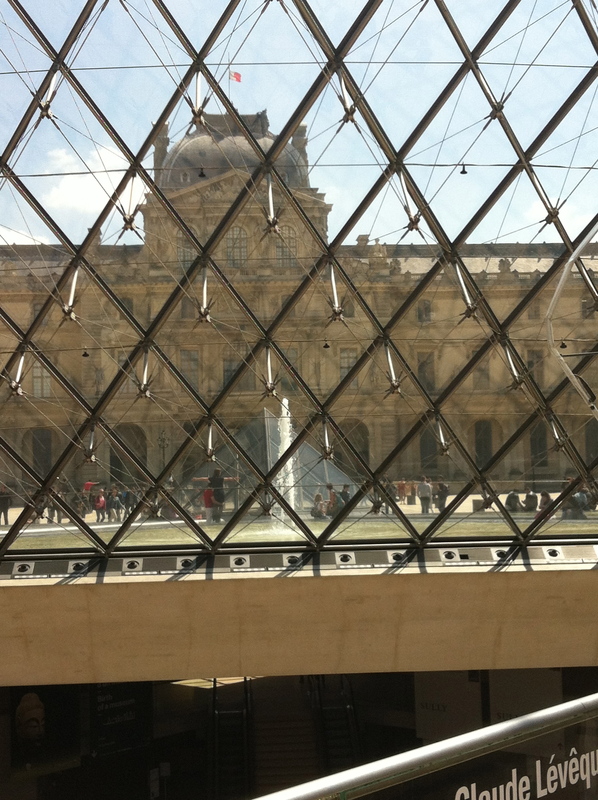 This entry was posted in life, travel, Uncategorized and tagged Paris. Bookmark the permalink.